Mr James Ingram AO is a former Chief Executive of the World Food Program and a former head of the Australian International Development Assistance Bureau (AIDAB). Jim was instrumental in the Fraser Government discussion to establish ACIAR in 1982. A former chair of the Crawford Fund Board, James led a Crawford Fund Task Force on world food security in May 2008, which resulted in increased funding by ACIAR. The Honourable Tim Fischer AC is the former Deputy Prime Minister of Australia and was the Australian Ambassador to the Holy for 3 years until January 2012. 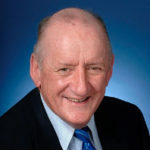 A former Australian Army Officer, NSW State Parliamentarian, Leader of the National Party and Minister for Trade, Tim Fischer is also a consultant, company director, author, broadcaster, and multiple patron. Since leaving DFAT, Tim serves on two Advisory Boards (Cognita Singapore and Global Crop Diversity Trust Bonn/Svalbard, Norway). He is also a former Chair of the Crawford Fund. The Honourable Neil Andrew AO FTSE has had a long and distinguished career as a Parliamentarian and as Speaker of the House of Representatives. He has expertise in both public sector governance and irrigated agriculture and was appointed chair of the Murray-Darling Basin Authority (MDBA) in January 2015. Neil is not only a former Chair of the Crawford Fund Board, but was also chair of the Fund’s 2013 ‘Doing Well by Doing Good Task Force, which reported on how international agricultural research benefits Australia and least developed countries. All three invitees agreed with alacrity, and announcements of their new appointments were made at the recent Sir John Crawford Memorial Address and Networking Dinner, held in Canberra prior to the Fund’s successful 2016 Annual Conference ‘Waste Not, Want Not: The Circular Economy to Food Security’. Our newly appointed Patrons will benefit from ongoing involvement with the Crawford Fund, including participation in mentoring and attendance to Crawford Fund conferences and State and Territory Committee events. We are excited to welcome them to their new appointments. “By lending their names to the Fund, Patrons are building our prestige and standing internationally. 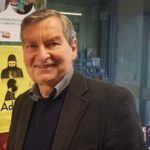 The three nominated Patrons have done so much within the field of development and global food security, including as former Chairs of the Fund, that by naming them as Patrons, the Fund hopes to recognise their past contributions to the Fund and to benefit from their outstanding records and contributions,” said Denis Blight, the Crawford Fund’s Chief Executive.